Shobana Sivasankar, Director of CRP Grain Legumes and Dryland Cereals based at ICRISAT, Hyderabad, and the program communication officer Satish Nagaraji, visited IITA-Benin on 18-20 March, to get acquainted with the ongoing efforts towards biological control of cowpea pests in West Africa. Visitors went to the Akpome and Hlankpa localities along the river Hlan where natural enemies of the cowpea pod borer were released. 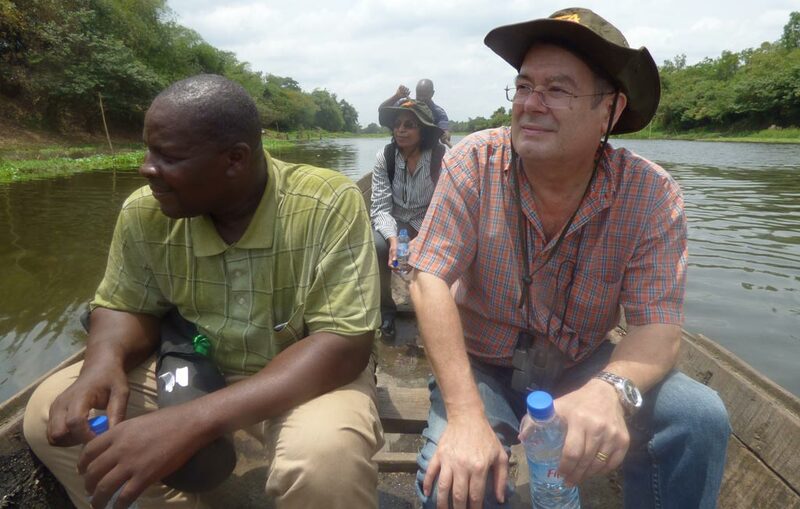 The centerpiece of the visit was a field trip to the Ouémé Valley, more precisely to the localities of Akpome and Hlankpa on the river Hlan. These localities were chosen because the Benin legume team had been releasing natural enemies of the cowpea pod borer (Maruca vitrata) around this area over the past eight months with the participation of local communities, the Ministry of Agriculture, and the national agricultural research institute INRAB. 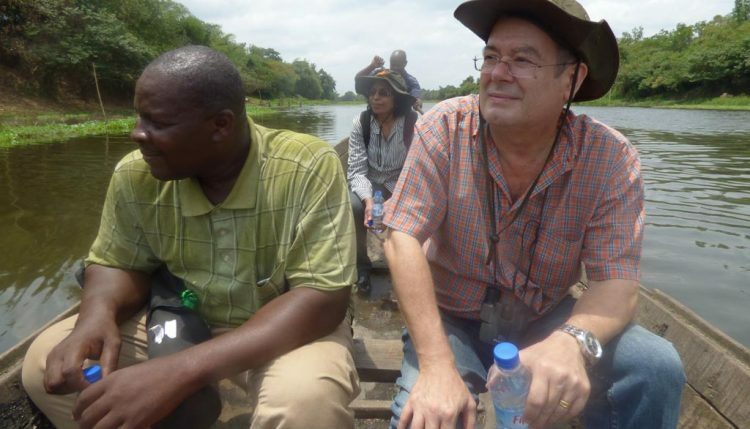 The guests saw the impressive beauty of these natural environments, but more importantly, the tour highlighted the fact that IITA’s biocontrol efforts are also targeting the pod borer populations during the off-season, when cowpea is not present. In fact, all along the inland valleys and river systems like the Ouémé basin, there is an abundance of legume trees such as Pterocarpus santalinoides and Millettia thonningii, both hosting large pod borer populations during their flowering period in the dry season. With the onset of the planting season, controlling cowpea pests on these host plants before they move to the fields is of paramount importance. The station has evidence from wild host surveys that this is already happening right now. Sivasankar met Augustin Kindozandji, Head of the division for alternative pest control at the Ministry of Agriculture, and also with cowpea farmers of both localities, while Satish took the opportunity to carry out some live interviews for a short movie to be streamed on the CRP Grain Legumes website. Both visitors were impressed by the program being carried out and wished IITA a successful 2017 cowpea campaign.